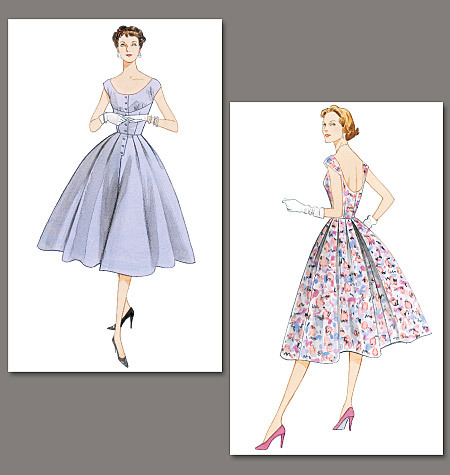 As promised, here’s a gorgeous sampling of my fabulous models in these dresses I made! These are some super great lookin’ ladies, and I’ve tried to match up the original pattern pictures to give y’all an idea of how amazing these dresses look IRL! Vogue 8489 – So low-cut you’ll be self concious all day! Laura looked so super hot in this dress I made her take it home! 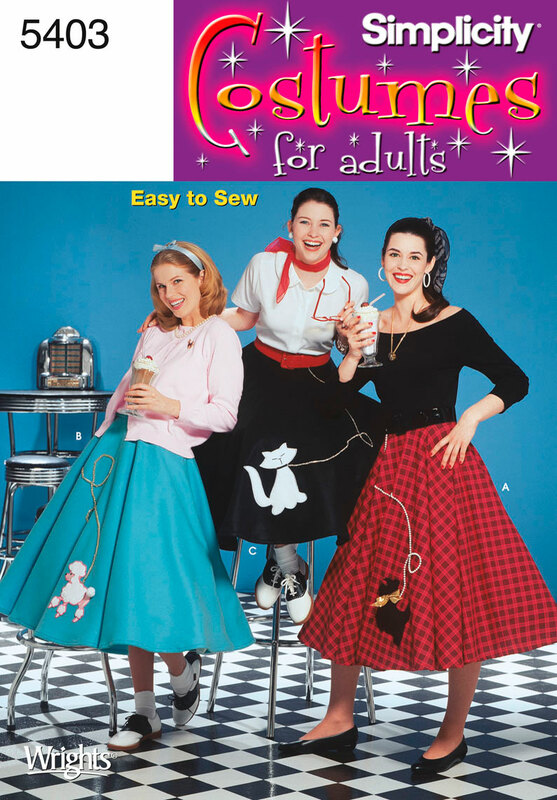 McCall’s 6462 – This is SUCH a fun pattern! It’s super fun, flattering and crazy simple to make! I love this dress, and I totally added pockets! Not that anyone could look at the dress when Catherine’s making the best face ever. 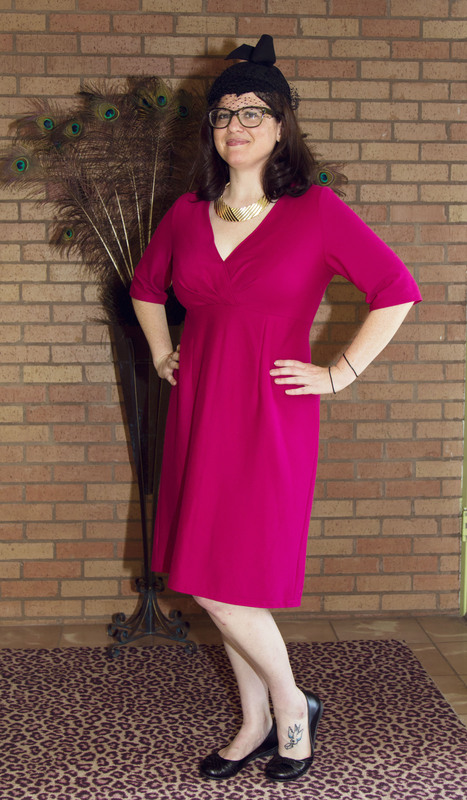 Butterick 5748 – I LOVE this dress so much because it’s simple, doesn’t take a huge amount of fabric, and is super flattering. I made it twice! This is the first version, made of black linen, with bow and added pockets! Version #2 – Fabulous white eyelet! It’s fully lined, and so easy to accessorize! 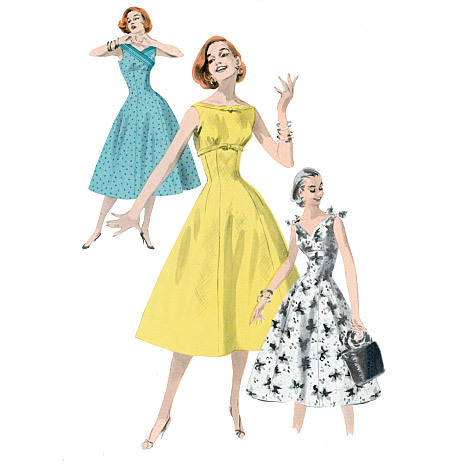 Butterick 5603 – Fabulous retro reprint pattern that’s got several choices for different bodice styles! This is such a great pattern, and I adore the fabric! It looks like a 1960s wallpaper: buckin’ broncos and all! 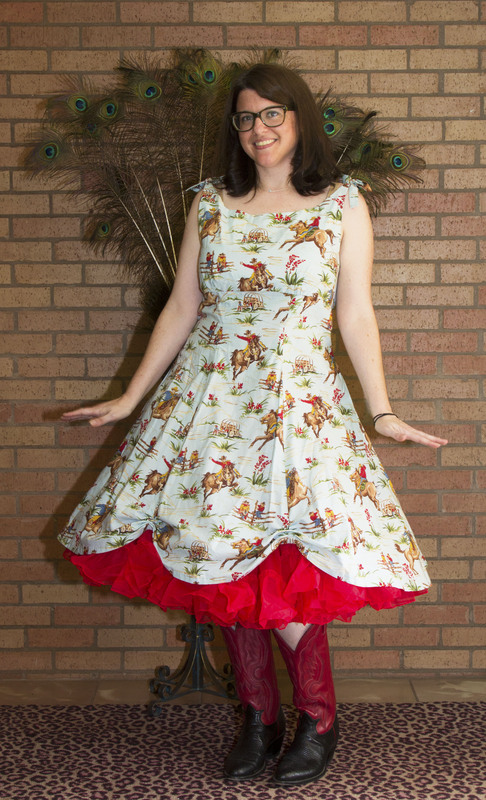 It’s also perfect with my red petticoat! 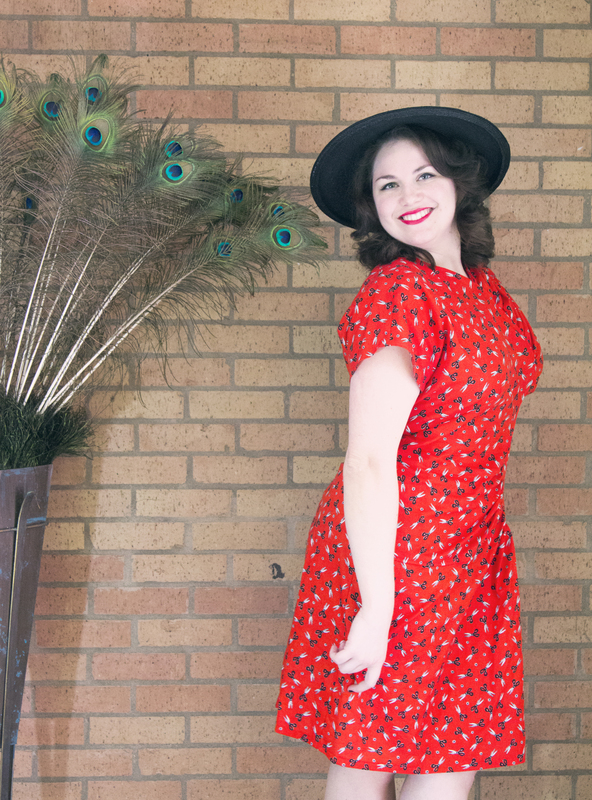 Vintage Vogue 2960 – Requires lots of fabric, like all Vogue patterns, but it’s a lovely dress and totally worth it! I made this dress out of a pretty pink linen, added pockets, and closed the front opening, despite the button-closure, upon the advice of another seamstress who made the pattern first. Pro tip – if you can make a pattern after someone else, and they can help you at all, take any notes they have to offer. 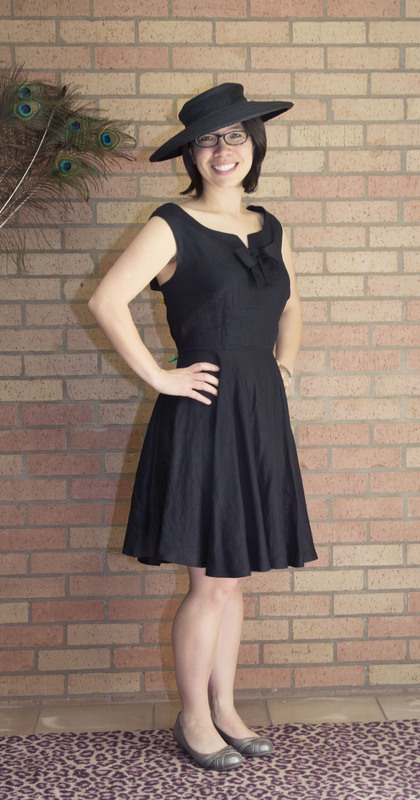 Butterick 5247 – A really simple pattern that I made when I was still in my early learning stage! I chose the “tunic” option, and it was really simple, as well as flattering! I made it out of a silky fabric with a super bold pattern. Next time, there will be pockets! 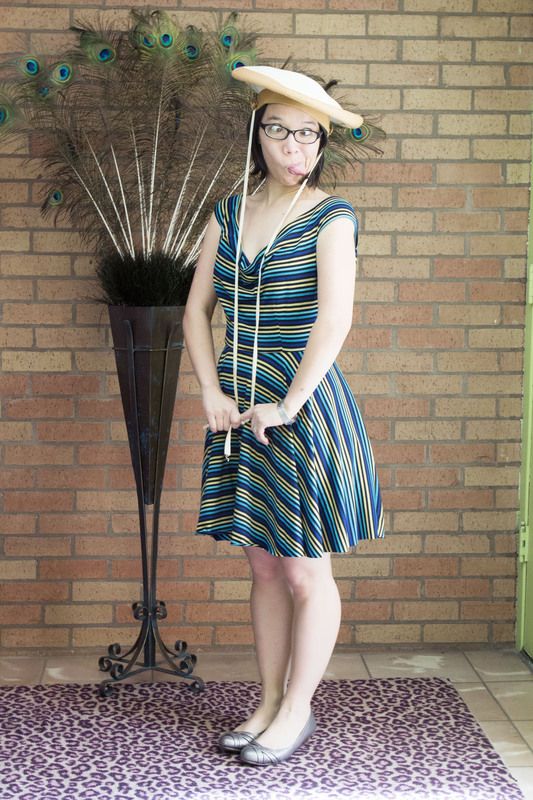 Vogue 8409 – With some prompting by the fabulous Gertie, I made this dress as a simple sheath to accessorize and wear to work! The final product is stunning! I chose a pink jersey that is heavy enough to go un-lined, and light enough to be worn in any season! 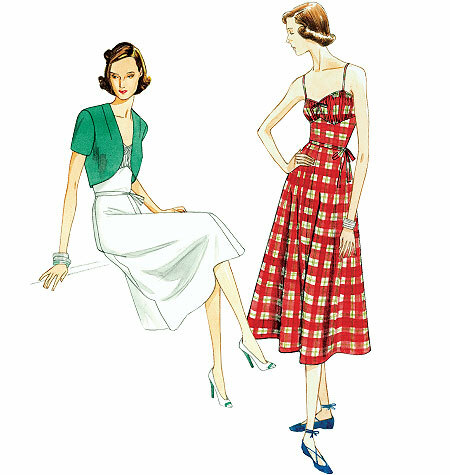 Vintage Vogue 8812 – An early 1940s pattern, this is a great simple summer dress! I chose a fun green print, with dark green accent for this dress! The bodice is flattering, and the length could be reduced depending on how much summer fun you plan to have! Or, it could be made into a cocktail dress with a slinky fabric! 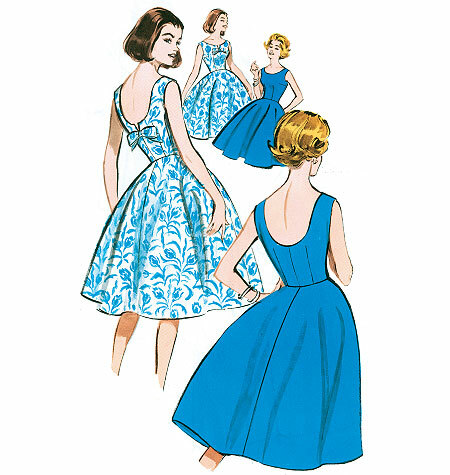 Vintage Vogue 1171 – A lovely early 1950s reprint pattern, it’s simple, but can be made with so many different fabrics! I made this dress specifically for the 4th of July! It’s got red buttons with little anchors on them! It’s also perfect for picnics! 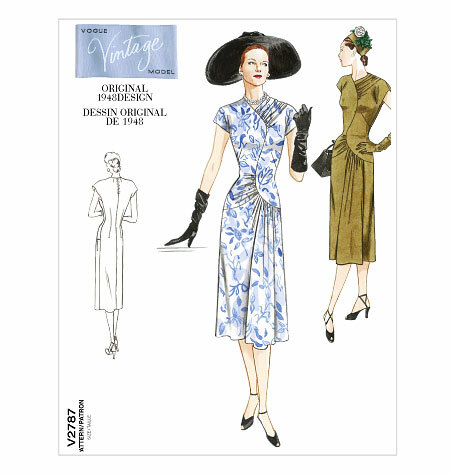 Vintage Vogue 2787 – A Lovely pattern, easy to work with, but it still includes some unique details! 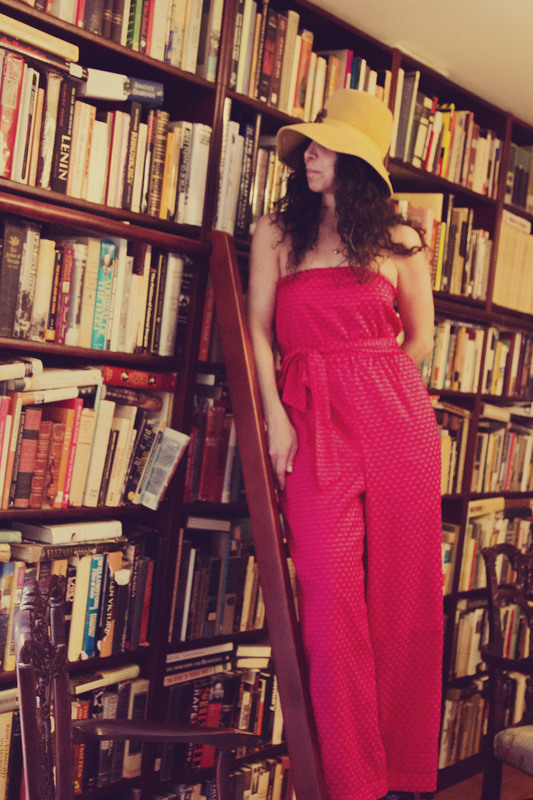 If you recall, I made this particular dress not too long ago! I had to make a couple of simple adjustments, but it was a great way to jump back into garment sewing after a post-holiday break. 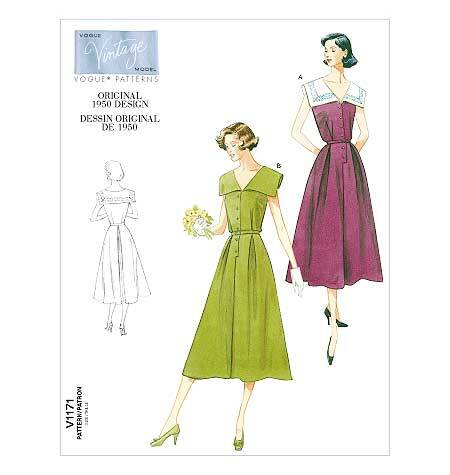 Simplicity 5403 – Despite, or perhaps because this is a costume pattern, I love it dearly! 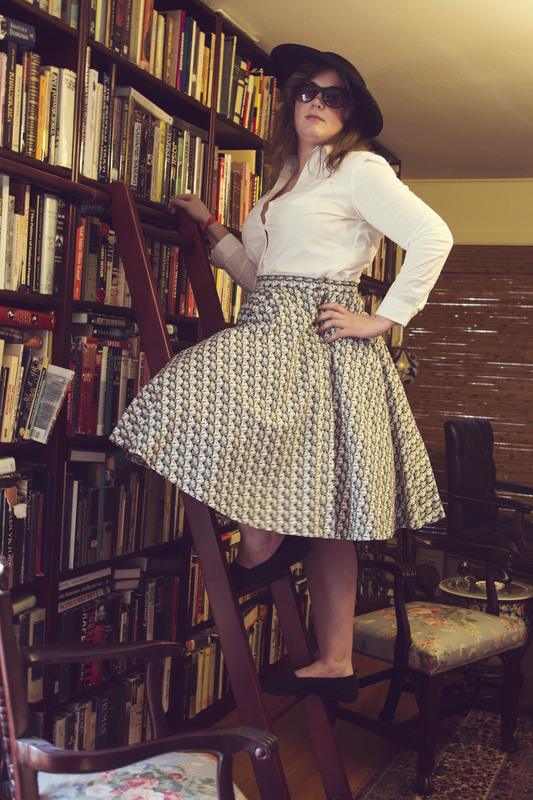 It’s a handy circular skirt pattern, and I’ve made it twice – so far! This, the first version, was made out of black and white Elvis fabric! It’s glorious, and somehow subtle. The second version is less so, and made out of giraffe print! To be worn exclusively with wooden and ivory jewelry. McCall’s 6083 – So, I tried the pink version of this pattern and it was not awesome, but clearly the “blue” version is WAY better! I am completely in love with every single lady in these photos!!! 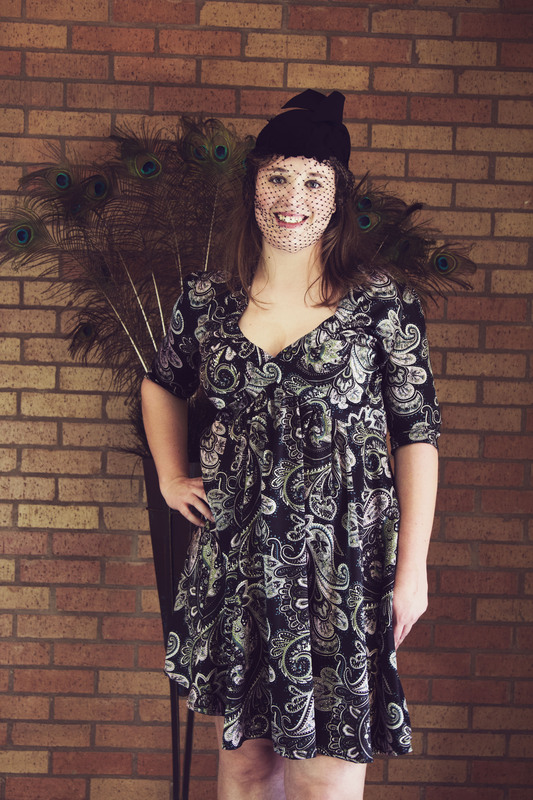 Thanks for making my dresses look so fantastic, and thanks again for coming out and modeling! And another big thank you to our photographer, Walter! We’ll do it again soon, I promise, and hopefully even more fab ladies will be able to make it. It’s a wonderful incentive to sew more, and I cannot wait! Do you have a favorite pattern? What made you pick it? Is there one you’d like to make? One you’ve already made? 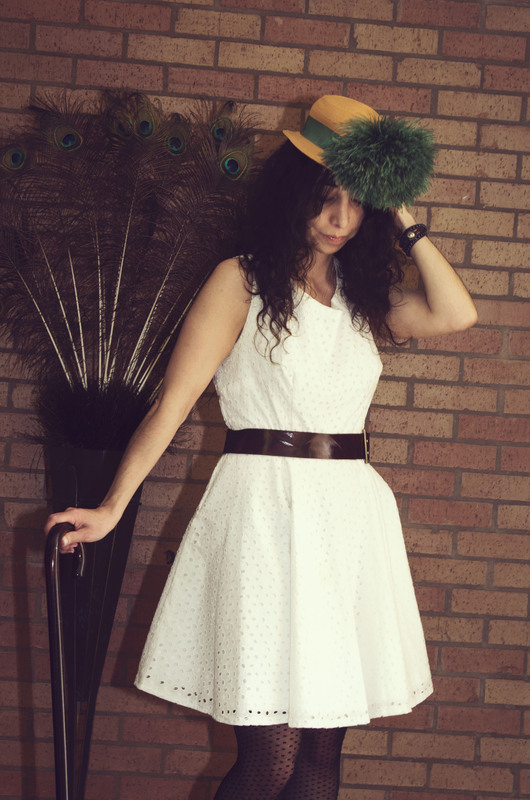 Previous Post Fabulous Vintage Hat Brunch! Next Post Valentine’s Day Soirée!